There are loads of free email service providers out there and finding the most suitable one for all your needs can be daunting. But whatever you need from your email service provider, in just eight years, Gmail went from being nothing, to being the most-used email service in the entire world. As of 2012, it had over 425 million active users, and as of 2014, it became the first Google Play Store app to smash through the one-billion-installations record. Free email service providers, of course, give you the ability to send and receive emails. Most free email service providers also provide features such as a calendar, instant messaging and mobile apps for your smartphone, among other features that can be beneficial for individuals and business employees. An email service should also provide many essential tools that can be useful for people and businesses alike in our busy daily lives. 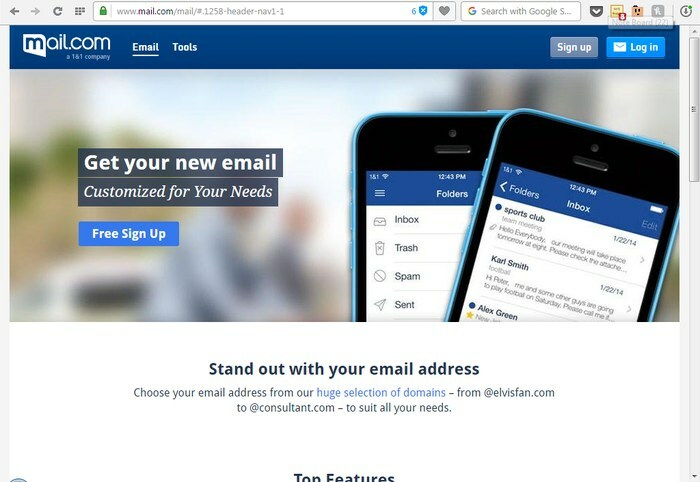 Read: How to Create and Use Your Custom Email Domain Name with Gmail/Hotmail/Yahoo? All of these free Email Service providers grant their users with an Email address on their top-level domain and some storage space for holding your documents and attachments. While some of the tools might be pretty obvious and widely in use, there is also another side to this where some somewhat lesser known tools provide with features that demand the attention of Email users. Whatever maybe your requirements, these are the 8 best free Email service Provider tools that you’d ever need. Gmail is one of the most used and the best free email service providers across the world. It is also one among the popular services offered by Google. This free email service boasts a myriad of features to benefit the users. 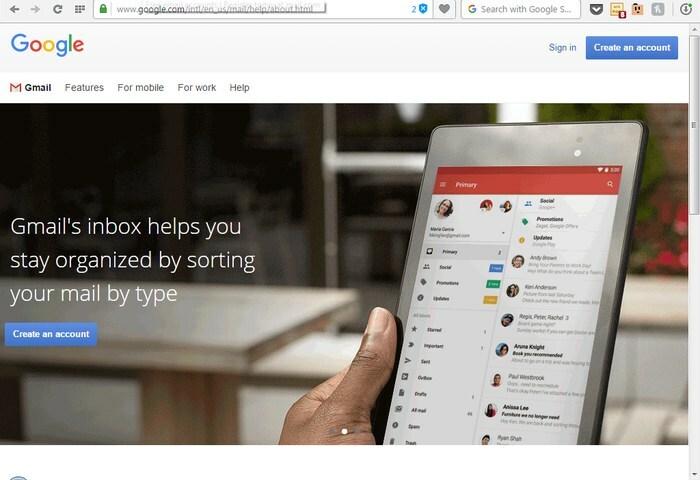 The email service from the technological giant Google provides you with a simple user interface. Gmail is one of the primary reasons for the people to prefer Google’s product than other paid or free email service provider. Gmail offers 15 GB of free storage to the users. You can use this free storage for Google Plus Photos and Google Drive. So, you have plenty of storage space to store any files as per your requirement. Apart from storage, Gmail has also come up with the best security features and so, the users need not worry about the safety of their personal data. The security features of Gmail include protection against phishing, malware, and HTTPs. It also comes with two-step authentication feature and anti-spam shield. Gmail even comes with productivity features. It integrates with Google Drive and so, you can attach files up to 10 GB. The emails are optimized in four tabs such as Social, Promotion, Primary, and Update. It facilitates both IMAP and POP. 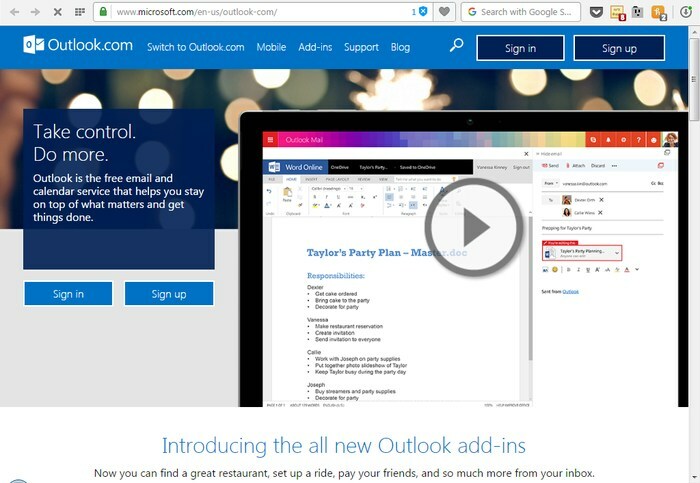 Outlook.com serves free email service with practically unlimited storage accessible on the web with a beautiful and helpful interface or using IMAP, POP, and Exchange ActiveSync in email programs on desktop and mobile device. The free email service has gone through numerous rebrandings over the years, and its current iteration is one of the best regarding appearance and user-friendliness. It looks and feels very similar to the other web apps in Office Online, so if you use them, you’ll feel at home here. Read: Electronic Signature in Word: How to Electronically Sign a Word Document? One of the top free Web-based E-mail services, Yahoo! Yahoo Mail gives you the maximum free storage among any other free email service provider. 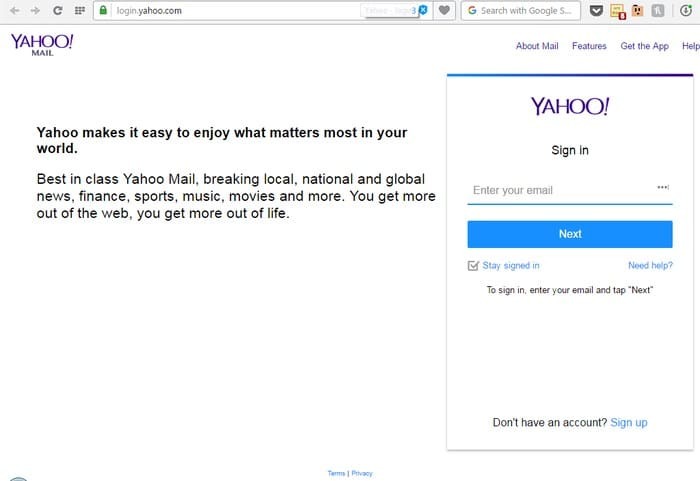 Fast, simple to use email with 1TB of free mail storage that comes with all the goodness of Yahoo. Create your unique username to get started. Stay connected with one-tap access to your inbox, multiple Yahoo account support, and instant email alerts. Get the Yahoo Mail app for iPhone, iPad, Android phones and tablets. Personalize your inbox with vibrant themes and organize your mail the way that makes sense to you. Quickly access the tools you use every day like your Calendar, Notepad, Contacts. The free email service features all the usual functions you’d expect from a modern email service provider, including a calendar and the ability to import contacts from many other accounts and social networks. There’s also at least one unique feature: ‘tabs’ that let you view multiple messages and other functions. These work much like tabbed browsing in the modern web browsers, but without the problems that they can sometimes cause with the webmail clients. Yandex Mail is one among the free email service providers and is governed by a Russian Internet company. 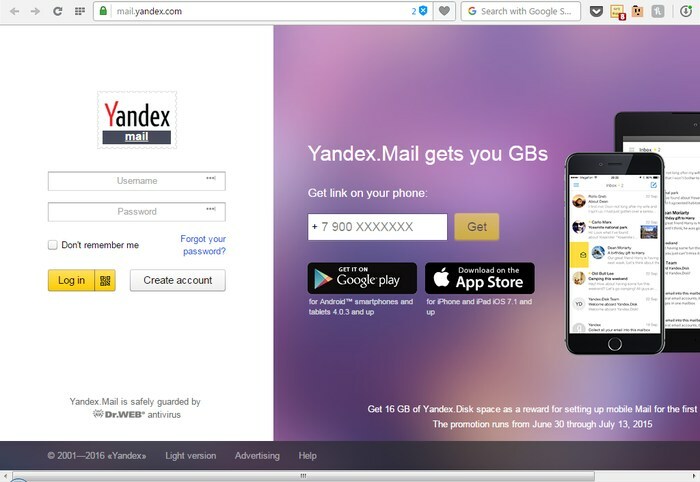 The account holders can enjoy a myriad of features integrated with Yandex Mail. Around 12 million emails are processed every day by this free email service provider. Free spam-free mail. Unlimited mail storage, protection from viruses and spam, access from the web interface, email clients, cell phones. Yandex is a Russian company that’s involved in all kinds of Internet ventures, including Web search, where it currently ranks as the largest search engine in Russia. Other services include Yandex Browser, Yandex Launcher, and Yandex Disk for cloud storage. iCloud is one among the best free email service providers with ample storage, functional web application, and IMAP access. The users of iCloud Mail services can take advantage of tools for organizing mail. However, it does not support sending emails or accessing to other email accounts. Apple’s iCloud Mail provides free 5 GB of storage for Webmail and a file attachment limit of up to 20 MB. Although it does come with IMAP and SMTP support, it lacks support for POP3. 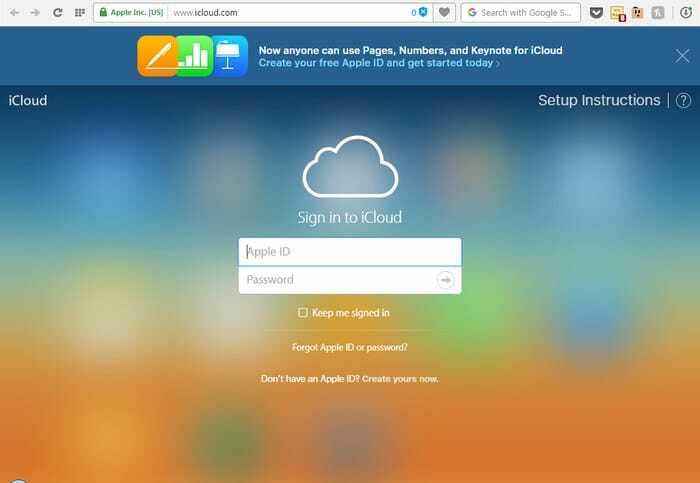 With no maximum period of inactivity and secured Email client, iCloud Mail is preferred by millions of Apple users. 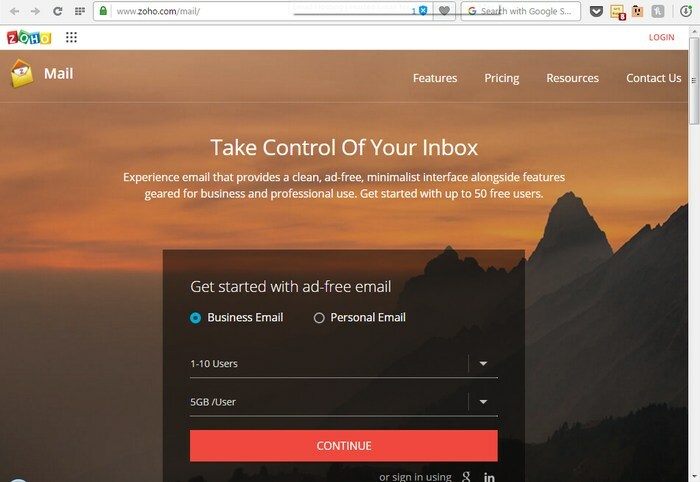 Zoho Mail is a solid email service provider with ample storage, POP and IMAP access, some integration with instant messaging and online office suites. Once you log into your Zoho Mail address, you will be finding a clean and beautiful interface. One of the beneficial features of Zoho Mail address is that there are no advertisements. It is uncommon in the arena of free email accounts, but it is an attractive characteristic. Zoho Mail comes with 5 GB of Email storage. Though it is not much, you need not have to worry about deleting the emails now and then to get some space in the inbox. Zoho Mail is highly beneficial for businesses as it comes with a lot of features which are precious for entrepreneurs. While most of the services are premium, Zoho Mail offers excellent email service for personal use. To find the free email account for personal use, you need to spend some time to surf through the pages. Mail.com, which is run by United Internet, has hefty unique features and other standard features. Being one of the free email service providers, Mail.com invites you to a homepage stuffed with news from all over the world. Mail.com can filter phishers and spammers and also makes a valuable effort to prevent unwanted emails from reaching the inbox. Even though these filters are not so efficient, yet they are good enough for organizing emails at certain times as you may customize them to organize incoming mail. When you sign up for an email address, you can choose from 200 domains that permit you to create a unique email address. Mail.com gives you the ability to draw messages from other email service providers, and this feature is known as mail collector. This feature is beneficial for those people with multiple email address. AOL is also known as America Online. Once it was the king of the World Wide Web but, still, it remains to be one of the free email service providers. AOL Mail is pretty secure with control for Spam and Virus checking on their network. The most impressive feature of AOL Mail is the unlimited storage capacity. You will never have to worry about keeping emails stored in the inbox. You can attach documents of 25 MB, which is certainly an attractive feature of this free email service provider. AOL Mail comes with Spam filter in different versions such as Off, high, medium and low. It is recommended to keep the filter at Medium level. 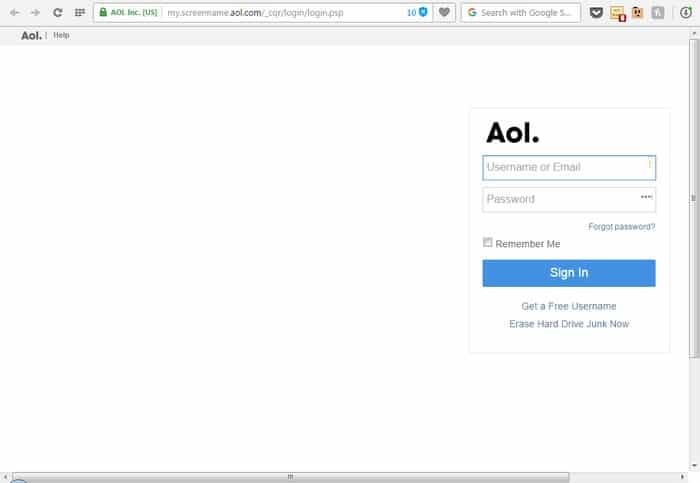 With AOL’s security suite, you can protect your account from emails. You can also enjoy parental controls, spyware protection, parental controls, pop-up controls and AOL’s Firewall. In spite of the social network buzz, email remains the core of business communication on the Internet. As such, it is just important to evaluate the best free email service providers available and make a choice that suits your need. In fact, Emails have become an essential component in our existence in this little world. Since their introduction during the early days of the Internet, Emails have evolved a lot, and many more additional features are being introduced to suit the needs and demands of Internet users. Previous: Why and How to Change Default Save Location for Files in Windows 10?